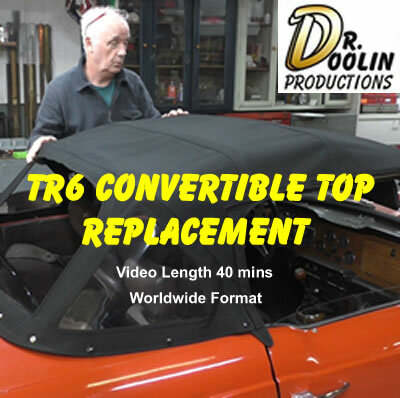 This DVD shows how to replace the Convertible Top on a TR6. It covers everything from repairing and replacing the hardware on the body to aligning the Convertible Top Frame with the new top. It shows many of the typcal problems found when installing tops on TR6. It is also usefull to watch and prepare for the job in hand if you have never replaced a Convertible Top before.